The first step to finding your destiny is leaving your mother's basement. Indeed. The first official poster has (finally) debuted via SlashFilm for Jeff Who Lives at Home, the new Duplass Brothers comedy starring Jason Segel and Ed Helms. This hilarious film (my review from TIFF) follows a stoner who lives in his mom's basement (Segel) that leaves on an adventure to get some wood glue, and somehow along the way discovers his destiny and helps his brother track down his cheating wife. I like the simple, sleek design of this poster, with the wooden backing being so prominent. The trailer hits tomorrow, so check back then. 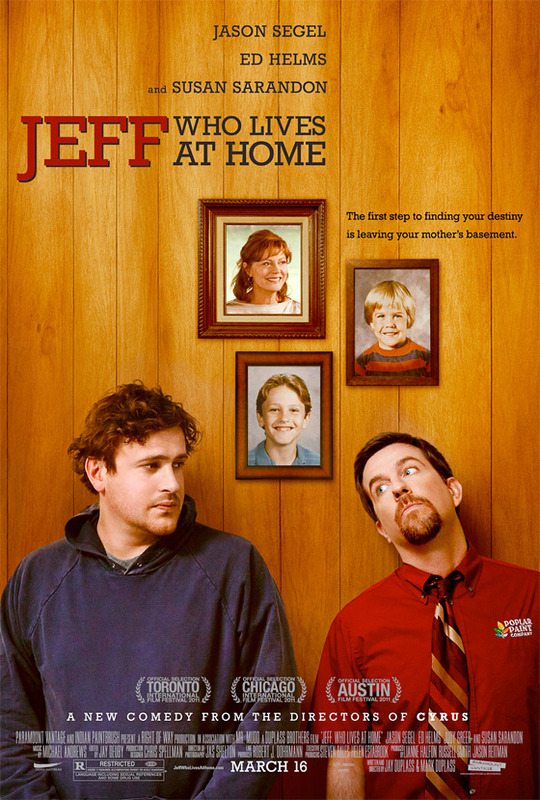 "Jeff Who Lives At Home", funny, witty, and also stars Rae Dawn Chong!